Today, I want to break down what’s called the “Ask Method”. It’s about a technique so powerful, it catapulted a friend I know from making $0 to $25,000 a month in 18 months of his very first business. And that’s why I want to tell you about this. His name is, Ryan Levesque, and he is someone you’ll want to remember as you grow your business. When I heard what Ryan was doing, I stopped what I was doing to hear more about it. And that’s exactly what I hope you’ll do right now too. 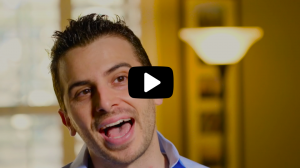 Because he’s developed something so different and intuitive, you won’t believe how he’s getting unbelievable numbers of new customers coming into his business, day in and day out. And, if that sounds interesting to you like it does to me, then stay with me here as I share what I consider something that can not only enrich your business many fold, but even turn it around. In the “Ask Phenomenon.” Ryan has mastered what he calls, counter-intuitive intelligence and it’s a big part of the, “Ask Phenomenon”. To put it lightly, this method Ryan is known for is revolutionizing the way entrepreneurs and companies everywhere are launching and growing their businesses online. To give you a little background on what got Ryan thinking in this direction is he was moved by the mindsets of great marketing men before his time. These great marketing minds gave us insightful clues on why this works. In fact, the secret of succeeding in business today is the same as it was a hundred years ago. And that simply is, find out what people want, and give it to them. Now here’s the thing if that sounds like an oversimplification. The real challenge is you can’t find out what people want because the truth is, people don’t know what they want. Let me explain that because we’ve always heard it put that way, however, there’s more to it you probably haven’t heard. Just listen to what, Henry Ford, had to say about this and it will clarify exactly what I mean. “If I asked people what they wanted, they would have told me faster horses”. – Henry Ford. Ok, so you can clearly see the insight in that statement on asking what people want. Had Mr. Ford based his ideas on it, you can only imagine how it would have affected the history of the automobile. Here’s another one more recently. Steve Jobs said: “People don’t know what they want until you show it to them”. – Steve jobs. So, the big take away here in what our giants of marketing already knew and by realizing it they approached their businesses in the following way. They figured out what people wanted to buy even before people knew they wanted to buy it. You may want to reread that previous line again to let it sink in. Because that’s just how powerful this is and there’s a lot more to know about the “Ask Phenomenon” if you want to catapult your online business to a much higher level. Now here’s the big question that should be circulating in your mind and that is: How Do You Do This? i.e. Ask people what they want, so you can figure out what they’ll buy before they buy it. That’s some deep insight any business would die to have and I’m sure you would agree. Well this is exactly what the “Ask Phenomenon” is all about. The problem is people don’t really know what they want as, Henry Ford and Steve jobs, pointed out so well. But here’s the good news. My friend, Ryan, has developed a modern way to decipher it. And it starts with asking the right people the right questions. However, asking people the right questions is not what you might expect. There’s a specific sequence you need to follow that’s counter-intuitive and it’s a critical part of the “Ask Phenomenon”. Yet, it’s a method that’s so powerful and universal it goes right in and touches your prospects in a way that brings out everything you need to know to give people exactly what they want. And you’ll know it even before they know it. What this will do for you is change the way you do business and even create new businesses by enabling you to develop intuitive products and services that people want. As impressed as I am with Ryan’s “Ask Phenomenon” method, I would go as far to say even Henry and Steve would appreciate what this can do for business insight, the kind that made Ryan’s first business go from, $0 to $25,000 in a single month. So just imagine what it could do for your business. Now if you like what I just shared with you, this is just scratching the surface. There’s a video I think you’ll also want to watch to get the full gist of Ryan’s “Ask Phenomenon” and I highly suggest you watch it. Here’s the link for the video – Click Here. Gauher Chaudhry has been an online marketer for the last 19 years. He is the creator of the Pay Per Click Formula and Pay Per View Formula courses and regarded as one of the authorities when it comes to paid traffic.